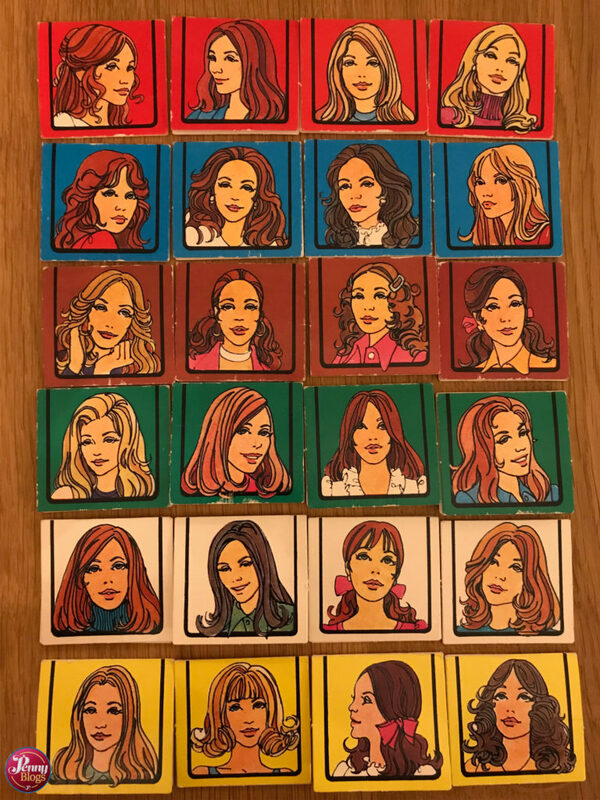 There’s absolutely no doubt that Miss UK is a board game from the 1970s. When else was it so allowed to be sexist and misogynistic in public and on television? I have to admit that I gasped with shock when I found this at a recent jumble sale. 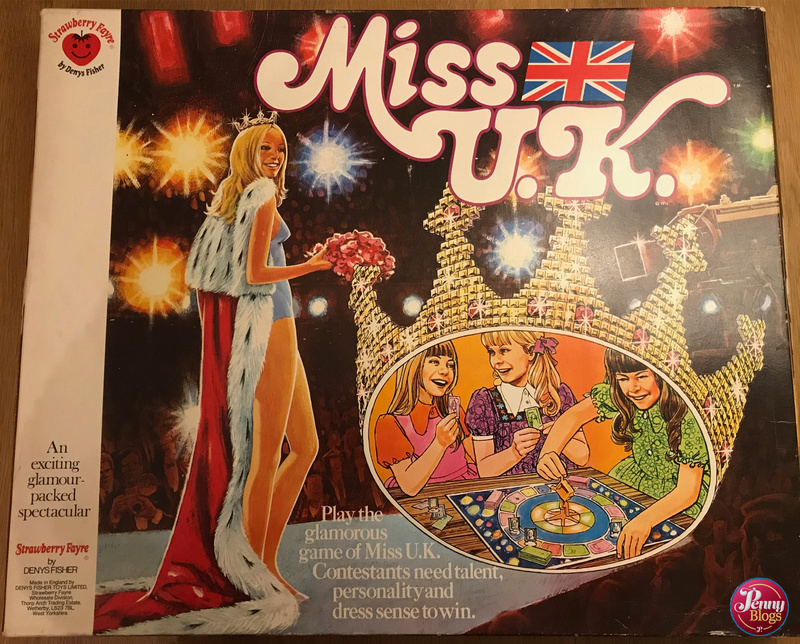 I obviously knew of Miss UK and the various other beauty pageants that used to happen in the run up to Miss World, but I had absolutely no idea that there was a board game version of it. For anyone who wasn’t around in the 1970s or has missed it from those various nostalgia shows that have titles like “It was alright in the 70s” then let me fill you in. Miss World is basically an international beauty pageant that started in the 1950s (by a Brit, Eric Morley) and became known for the way in which women were judged in it. The whole thing started from a bikini competition at the Festival of Britain. A competition that was designed to promote the bikini initially, but went on to create something so much bigger. The Miss World completion, and hence the national pageants that sit under it, consisted of several rounds. The most famous of which was the swimsuit round, but contestants also took part in rounds that judged their talent, their personality, and what they looked like in a evening gown. I’m delighted to say that Mis World finally ditched the swimsuit round in 2015, but you have to wonder why it took them so long! Here in the UK there were a number of regional competitions which then culminated in a grand final and one of the regional winners being crowned Miss UK. I seem to recall these regional competitions being somehow linked to local television regions, but I might be making that up. Certainly I think some of the personalities from local television where the types who went on to host the regional competitions. So, enough about the competition and on to the board game. 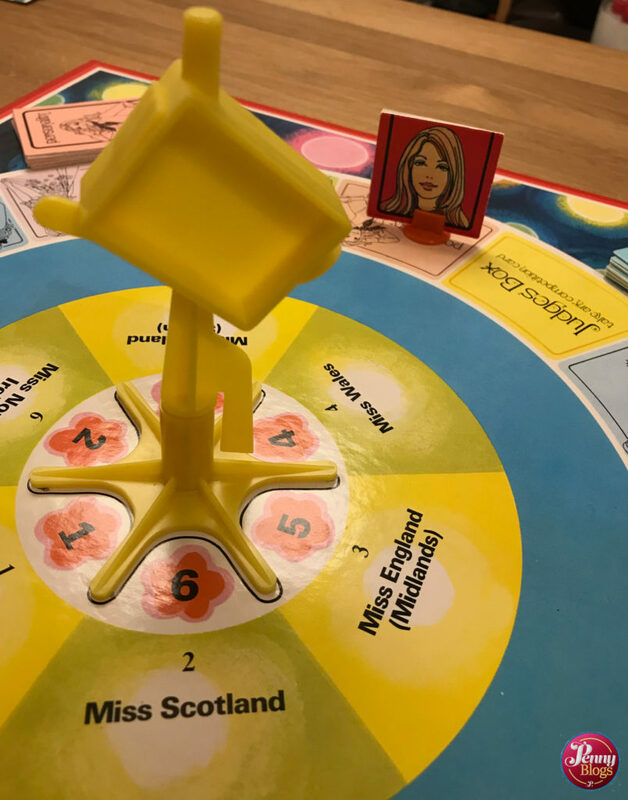 Miss UK is actually quite a long-winded board game with players having to go through six different regional finals before getting on to the grand final and the crowning of Miss UK herself. With between two and four players, each player has an entry into each regional final. As you work through these regional finals the winner of each one goes on to represent their region at the grand final. So, in terms of players in the game, you could technically end up with one player being responsible for all the entries into the grand final. Each player choses one girl from each region and places the contestant cards into their own coloured base holders. They then play a round for each of the regions in the order above, so starting with Miss England (North). 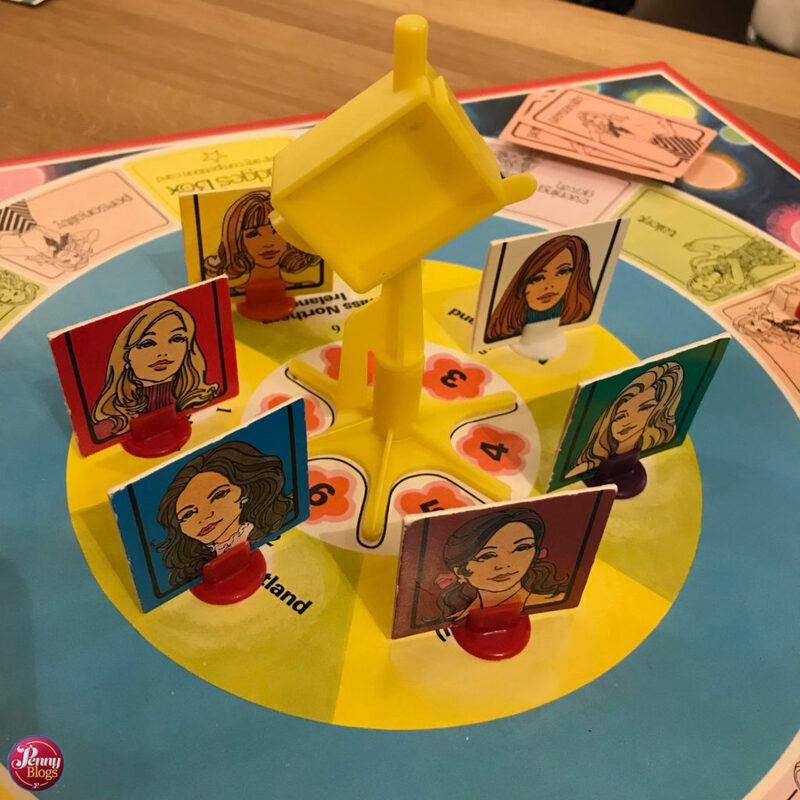 Players place their contestant somewhere on the board and then, in lieu of a die spin the TV camera at the centre of the board to determine how many spaces they should move. They then move their contestant from their starting position, in a clockwise direction and see where they land. If they land on a Swimsuit, Talent, Personality or Evening Gown square then they need to take one of the appropriate cards from that pile. It will tell you how you did in that round and how many points, if any, you were awarded and the player has to reveal that to everyone. If you instead land on the Judge’s box square you may take the top card from any of the packs. Play continues around all the players until one has collected at least one card of each colour (i.e. swimsuit, talent, evening gown and personality). Players tally up their points and the one who has scored the most wins the regional final and their place in the grand final. 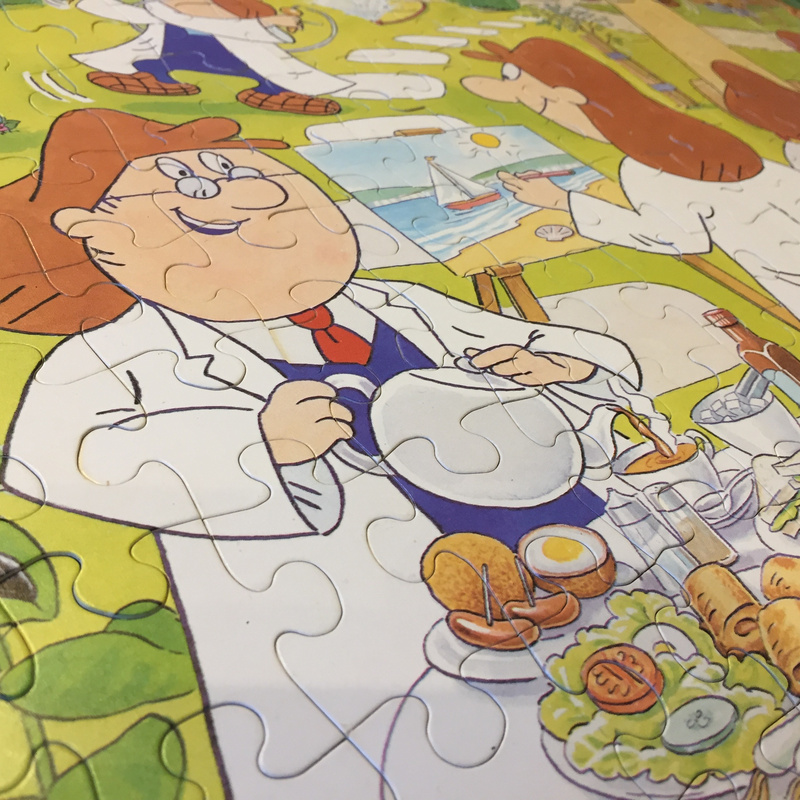 That girl’s playing piece is then placed on the relevant regional spot in the centre of the board. Then, if you can face it, you start all over again with the next regional final – Miss Scotland. Play continues until all the regional winners have been decided and then you move on to the grand final. At this stage it could technically be possible that you have just one player who “own” all contestants in the final. Certainly if you’re playing with four players I would have thought it possible that one may not have qualified at all. The grand final is played in a very similar way, but this time each contestant plays one round of the board alone, in the order that they qualified, and starting and finishing at the Judges Box. As they go round they pick up cards as before, but this time what is on them is not revealed to the other players. Once all players have been they should then in turn reveal the cards they collected during their round of the board and how many points they gained. The player with the highest score is crowned Miss UK. I have to admit that this is in no way a thrilling game. 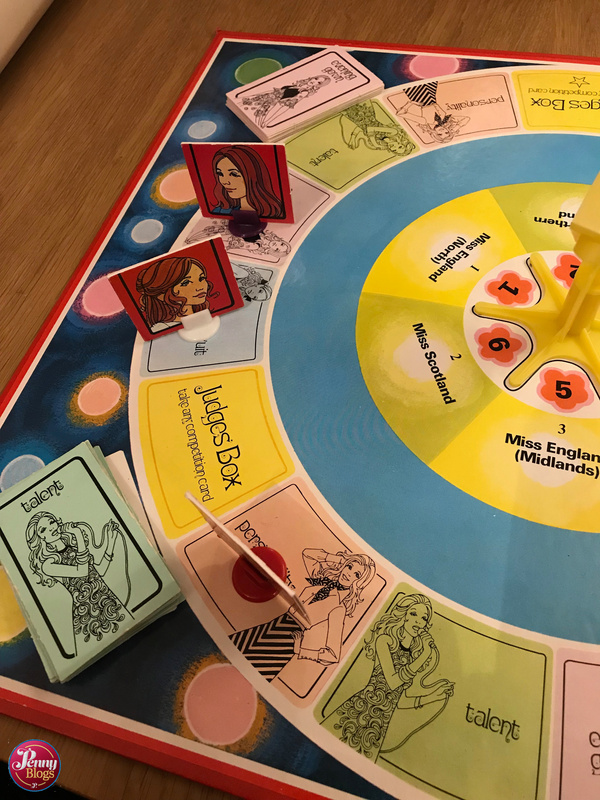 One round alone is enough for me to lose interest, but as a bit of history it’s fascinating to think that people actually bought this and wanted to play it. But then again, I guess it was the 1970s. It certainly has a certain nostalgia value and in that way I’m glad to have found a copy. 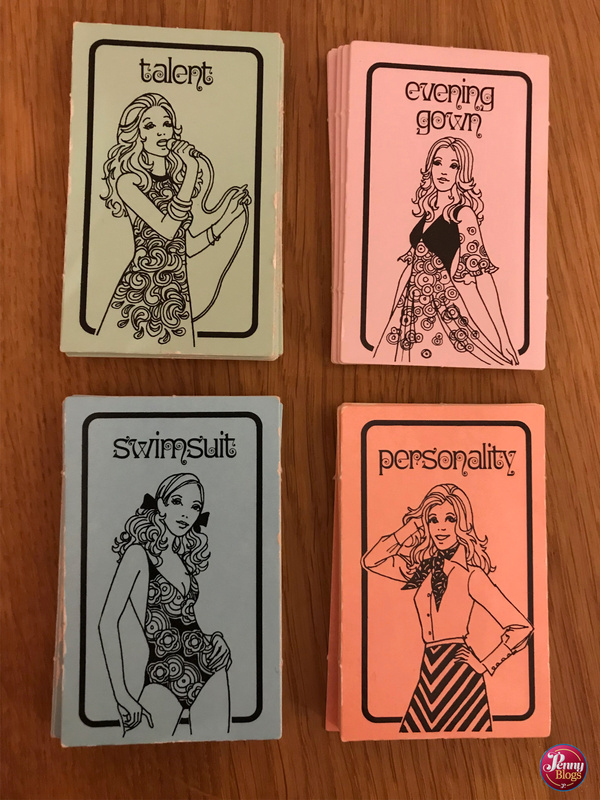 Things could have been worse though – my research into this game has shown that the year before it was published (which was 1975) the same company (Denys Fisher Toys Limited) brought out a Miss World Game that involved dolls dressed in swimming costumes! I kid you not. It was back last year that we reviewed the game Baffled from Cheatwell Games here on Penny Plays. 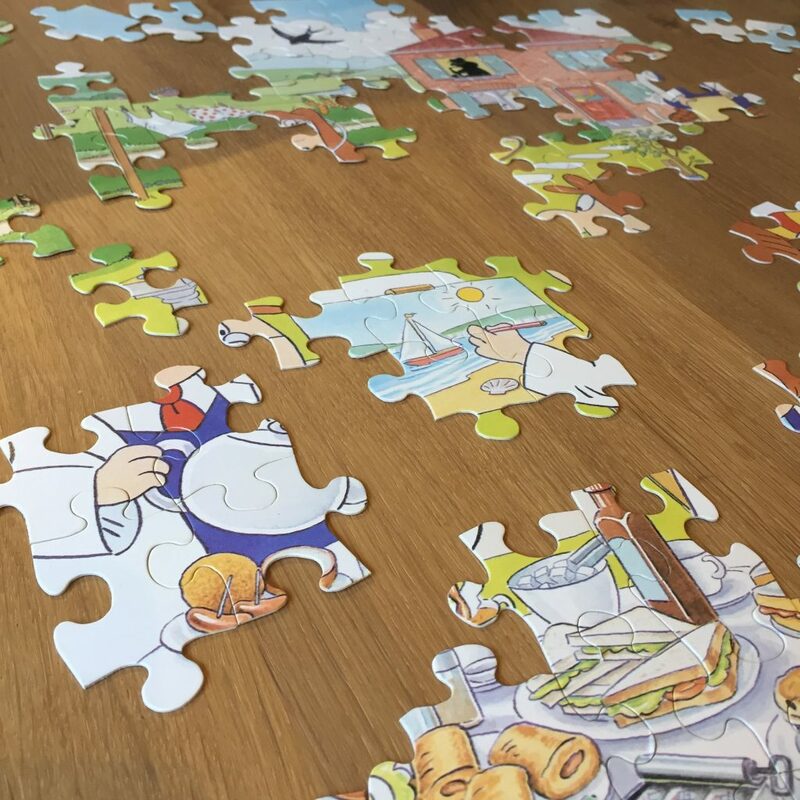 We’d picked up a copy as a raffle prize at a Blog On conference and enjoyed playing it so much that wanted to share it with you all. I’d assumed it was a new game as I hadn’t come across it before. This week I discover I was wrong when I found a vintage copy in a charity shop in Chichester. 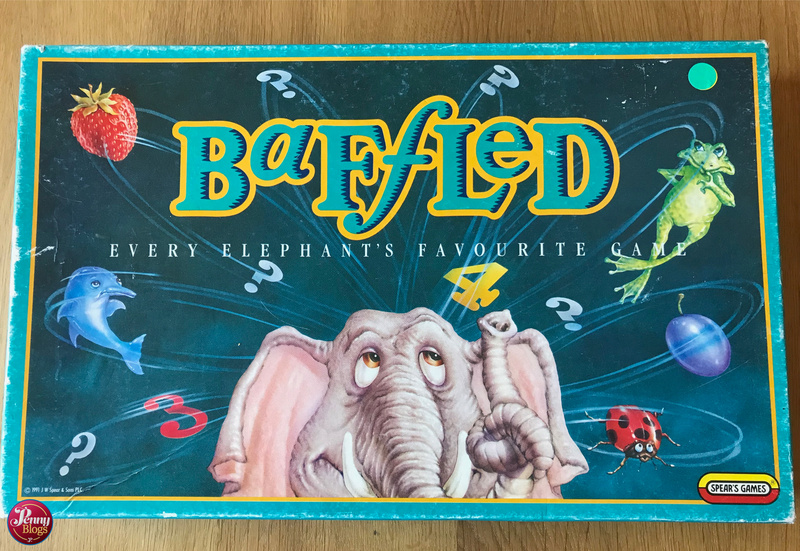 This version of Baffled was published in 1991 by Spear’s Games. 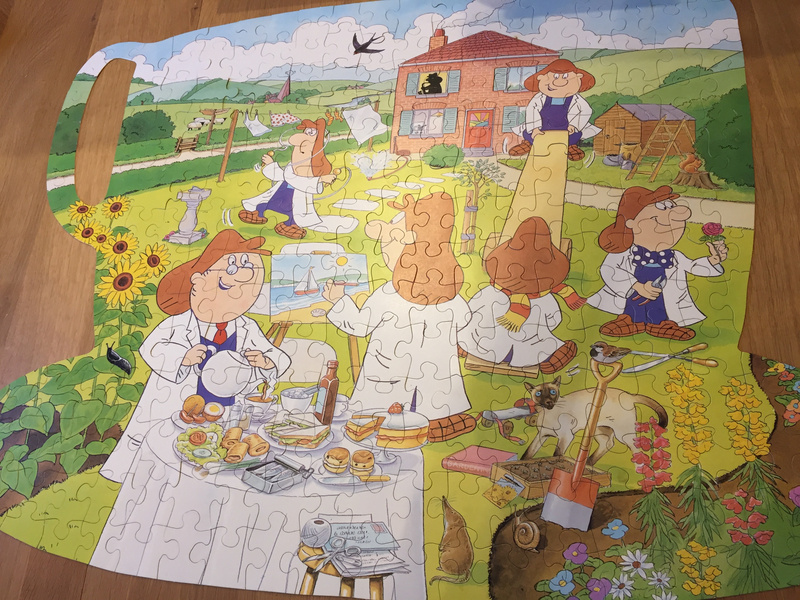 I know that board games over the years become somewhat recycled, but normally a search on the bible of board games (AKA Board Game Geek) shows this up, but in this case Baffled was only listed there as having been published by Cheatwell in 2018. On the whole the game of Baffled hasn’t really changed between the two versions. 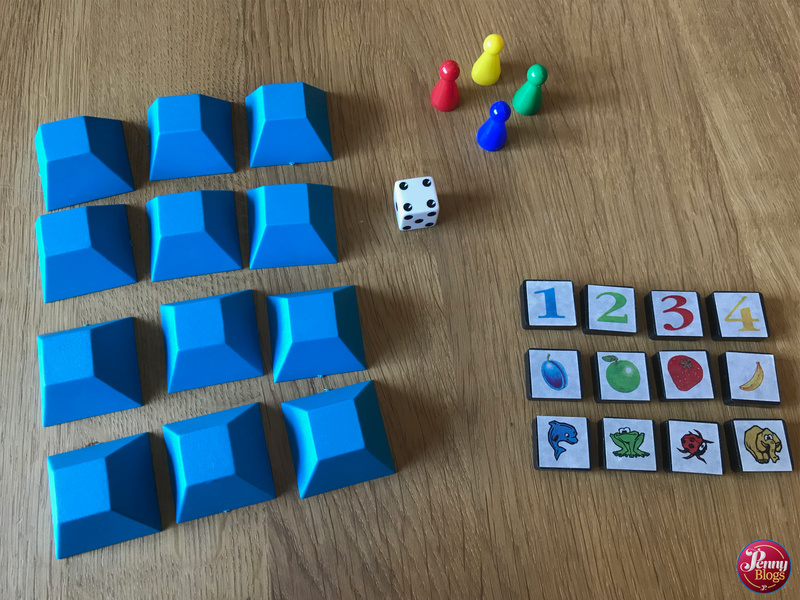 You still play in the same way with four players each trying to be the one to stay in longest by memorising the positions of 12 different symbols around the board. 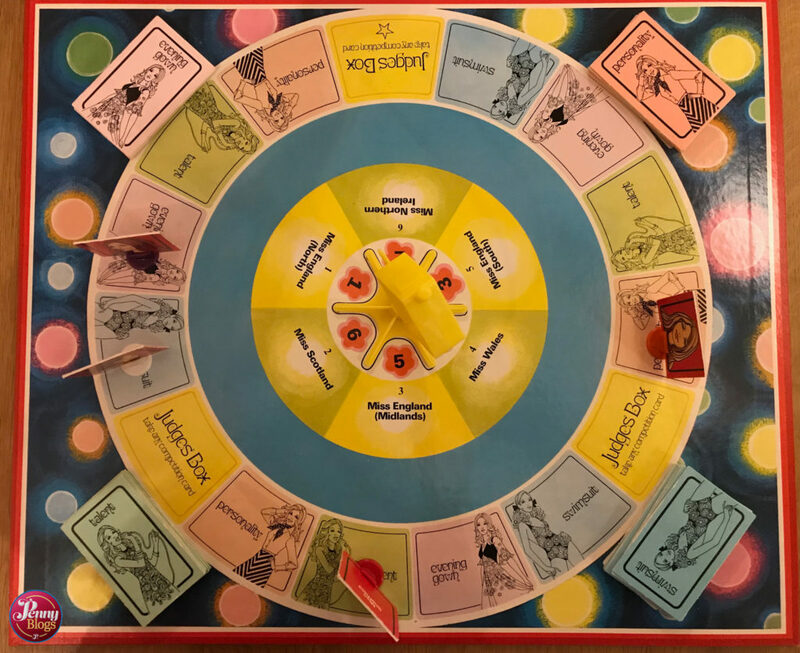 You can decide at the start of the game as to how many “lives” each player has and as you work your way around the board the things you are asked to do remain exactly the same in terms of which positions have to swap and which combinations of positions you have to name the symbols at. 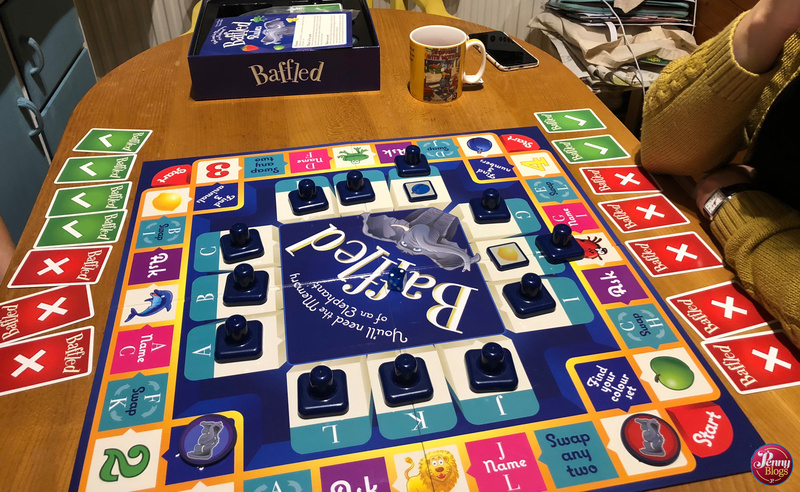 Despite the general game play being the same, there are also quite a few smaller differences between the two versions of Baffled. 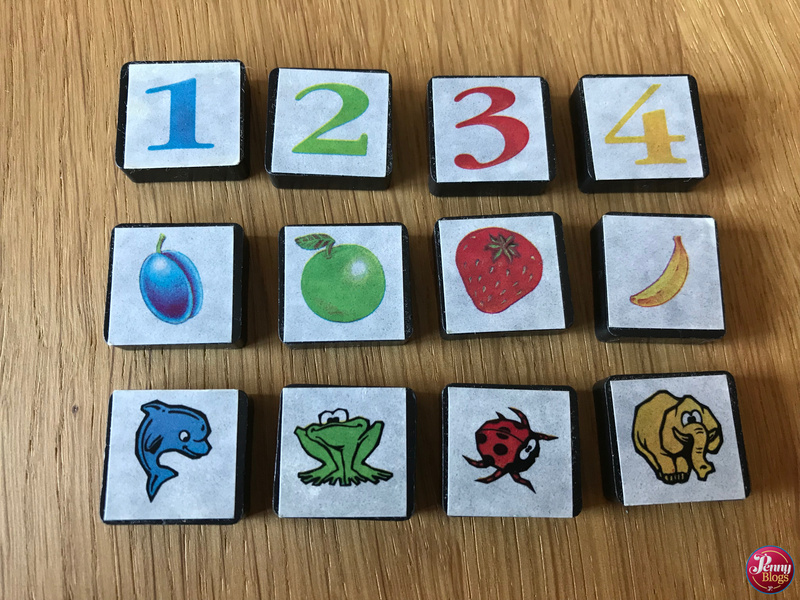 Both have an elephant on the box, but the 2018 Cheatwell games version majors somewhat more on the elephant theme with each of the four coloured playing pieces bearing a picture of an elephant. In the 1991 Spear’s Games version there are just four coloured pieces, one for each player. With the introduction of elephants as playing pieces, there has also been a small change to the symbols that you have to remember. The yellow category contained an elephant and a banana in the Spear’s Games version, but by 2018 these had become a lion and a lemon instead. I can see why there was a need to swap out the elephant (which realistically was never yellow anyway!) but I’m not sure what the reason was for the banana going. The board layout, and size) also differs between the two versions. 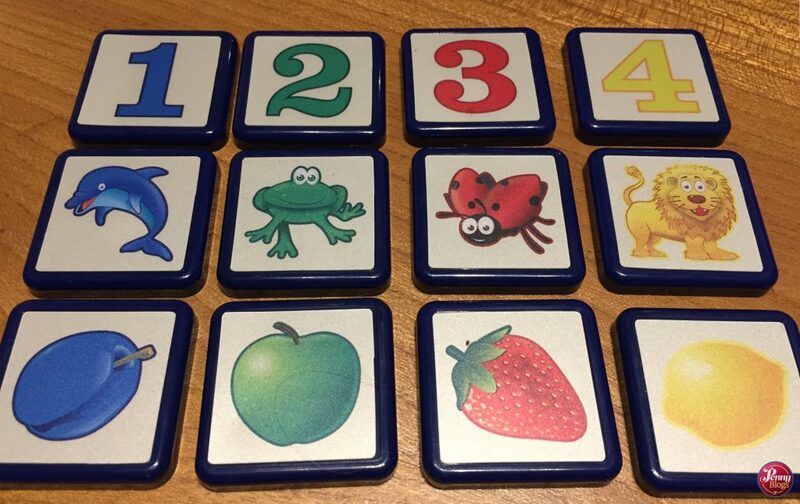 In the more modern version the symbols that you are trying to remember the positions of are arrange inside the board. In the old version they are around the edges. 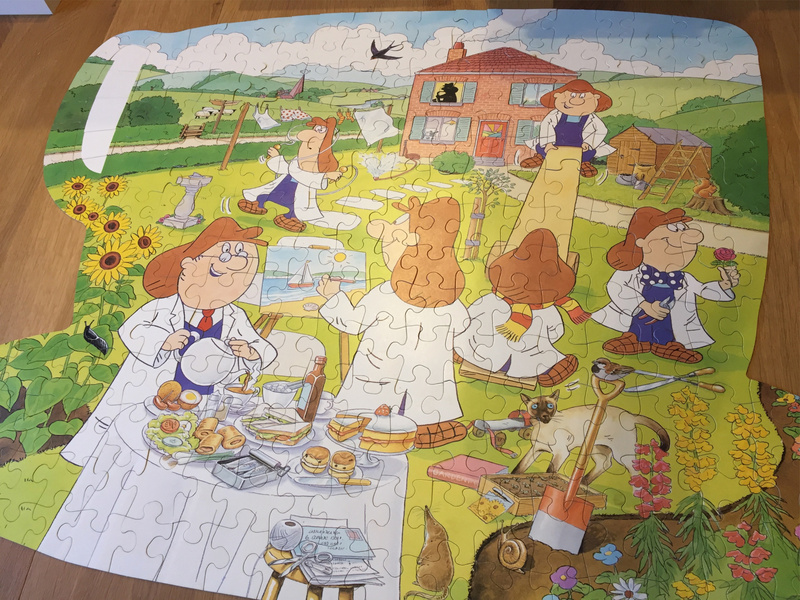 I can see why this change has been made as it’s far easier to swap pieces around if they’re all together in the middle. You’re also less likely to knock them when playing than you would be if they were round the edge of the board. The board has also become physically larger. The plastic pieces with the symbols on and the covers for them have also changed between the versions. They were much smaller in the Spear’s Games version and also somewhat harder to pick up too. I’m guessing that one of the reasons begins this change is probably driven by the fact that the plastic playing pieces now cost even less to produce than they did back in 1991. The life cards included in the game have also changed slightly. In the version we reviewed before they either had a tick or a cross on them to symbolise being alive or dead. 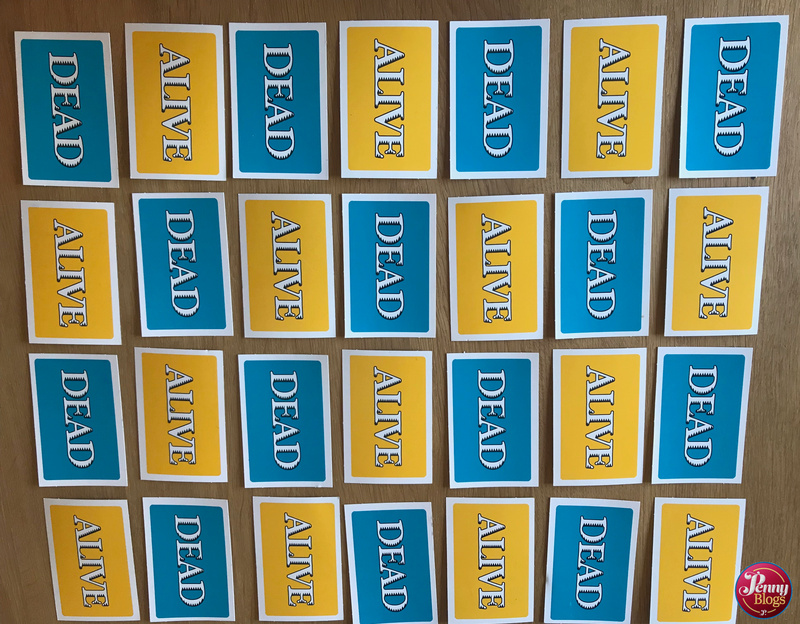 The Spear’s Games version says “Alive” on one side and “Dead” on the other. I wonder if this move to symbols was made to make the game work better in non English speaking countries maybe? Finally, there’s just a subtle change in the rules. It used to be the case that two players could occupy the same square on the Baffled board. By the new version this has changed so that if the square you should land on is already occupied you’re supposed to advance to the next un-occupied square. Is this to accommodate the new larger playing pieces? Or a tweak for some other reason. I always find it fascinating to compare different versions of the same game as I love discovering what changes have been made over time and trying to work out if the changes are for the better or not. In this case it seems that design is the main driving factor for the changes in Cheatwell’s version and I can see that as a good thing. The fact that the game itself has not changed suggests that it’s a pretty good game to start with. 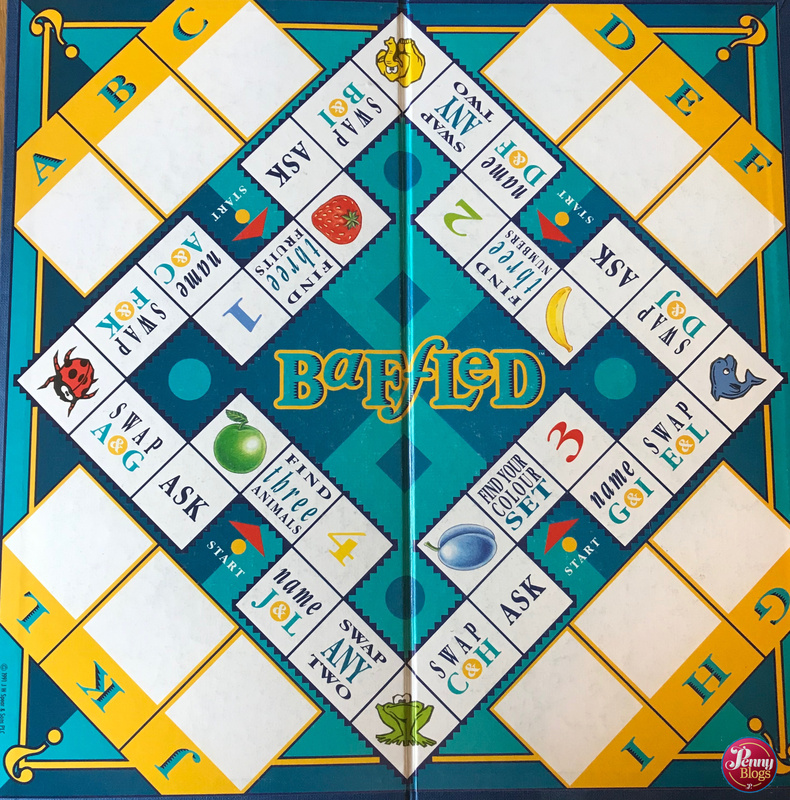 You can buy the modern version of Baffled from Cheatwell Games online here. If you take a look on eBay you can often find copies of the Spear’s Games version come up for auction. They seem to sell for £7 upwards. Disclaimer: We bought the Spear’s Game version of Baffled in a charity shop. 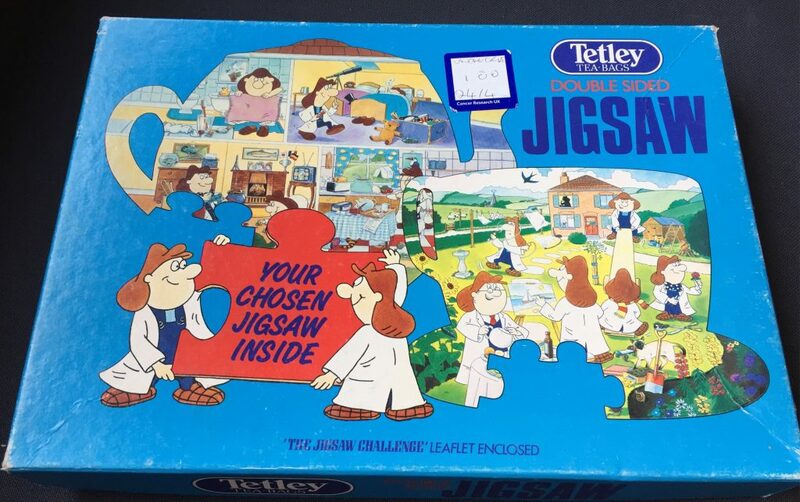 The Cheatwell Games version was given to us as a raffle prize at a Blog On conference. We were not specifically asked to write about it. All opinions remain our own. This post contains affiliate links.